It will be hardly an overstatement to say that Salesforce is the world’s leading customer relationship management software. It enables you to manage your organization’s sales, marketing and customer support assets, far beyond email addresses and phone numbers. 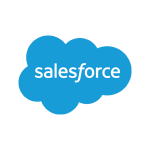 With Salesforce, you can track each interaction, event, task, and so much more. This is an open source connector to work with the famous CRM application in your integration flows and it was developed specifically to run on elastic.io platform. The Salesforce integration connector supports both triggers and actions, which means you can use it either to execute or to act upon a certain event. For example, you can create new leads, enter new tasks or update existing contacts. PLEASE NOTE: You need to be registered on the elastic.io integration platform in order to use the Salesforce integration connector. You can sign up for a trial period here.